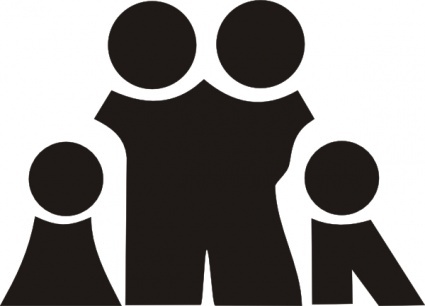 Your Family’s Key Messages Part 2: Who Is Your Family? Your Family’s Key Messages: Make Your Application Standout is our most-read blog post. We think it resonates with readers because the idea of developing a “family message” makes sense when you are preparing to be asked to answer a variety of questions about your family in written applications and parent interviews. It’s not always easy to discuss your family’s values, interests, work, volunteerism, academics, educational philosophies, diversity, your child’s personality and interests–and more– with numerous admissions directors. That’s why thinking about what you’ll write and say ahead of time will help convey the most important things you want each school to know about your family. When I was applying to schools, I found it helpful to think of my family as a “brand”. A family “brand” or set of messages is really just a clear, concise way of describing the most important, meaningful things about your family that will be remembered by your audience: admissions directors. What makes your family unique? What is memorable about your family? What is it about school X that would be great for your kid? What unique attributes will your child offer to school X if accepted? Being able to describe both your family and your child in an authentic and interesting way is an essential part of communicating with admissions directors. When you talk and write about your family, you want admissions directors to get to know you and your child and understand why you think their school is the best fit for your child. Of course, you know that your family is different from every other family applying. But how will admissions directors know this unless you tell them? Don’t be afraid to ask yourself, “Who are you?” “Who is your child?” What real-life examples can you write about or talk about in interviews or on the make your family stand out? What can you say in parent interviews that will leave a lasting, positive impression on the admissions directors who interview you? What should you write to make your application “pop”? Admissions directors often receive written applications that are too long, boring and sound like a brochure. In Part 1, I list my own family’s key messages. Here are a few more examples of what we mean by family messages. You’ll notice that in each of these messages, the family’s values and/or interests is discussed, backed up by examples. Or, the child’s behavior, personality trait or interests is described in a clear, honest example. Ideally, you should talk about your family’s values or interests, illustrated by a real-life description to give the example. Our family loves to travel. We want to expose our kids to other cultures and places. Our trips aren’t elaborate or expensive, but always involve an educational component for our kids. We enjoy entertaining family and friends. We’re in the catering business. Opening our home for events and parties is one of our favorite things to do. We would welcome the opportunity to host school events at our home. Our daughter’s preschool has a strong sense of community and we’ve made close friends with other parents. We are looking for a school with a strong emphasis on community spirit in both students and parents. School X appeals to us because my husband and I both attended very traditional east coast private schools. We are seeking a traditional education for our kids. We feel our child will benefit from school X’s structured classroom environment, academic excellence, strong athletic program and a focus on religious values. We have been members of your school’s church for 3 years. I’m a former yoga and dance teacher. I’d welcome the opportunity to volunteer with your after-school enrichment program to teach a kids dance or yoga class. We are both scientists. Our daughter is showing some real potential in the arts. We want a school that will inspire and support her artistic interests. Your school has a fantastic arts program that our daughter would embrace. I’m a graduate of your school, class of 1985. My education gave me an excellent, well-rounded foundation that I’ve been able to use to build a successful career in medicine. I’ve also stayed close to a group of friends I met during my years as a student here. I want my kids to be able to have the same incredible education I received from my alma matter. I chaired our preschool auction for two years. We raised a record amount of money and were able to solicit amazing donations from local businesses –and have fun at the same time! I think my auction experience would be beneficial to your school’s fundraising efforts. Our entire family is interested in sports. We play tennis, volleyball and soccer. The fact that your school has beautiful athletic fields, a former professional athlete as the athletic director and a new gym would definitely be an asset for our kids. Our daughter is very interested in mechanical objects. She is fascinated by the way things work and likes to build and take apart legos and other toys/objects. This isn’t a surprise since her mother is an engineer. She is observant and quiet and is known for being friendly to other kids in her preschool class. If accepted to private school, our son will be the first member of my husband and my family to attend private school. I was the first person in my family to go to college, after coming to the U.S. at age 8 from El Salvador. We are a bilingual family. Hopefully, giving thought to who your family is (parents and child) and what you are seeking in a school will help admissions directors get to know you and want to learn more about you. You’re creating a connection between your family and the school. That means learning as much as possible about the school and illuminating the ways your child and family will be a good fit for the school. * Thank you to Anne Simon for her contributions to this post! This is all very savvy advice, and I love all the examples. As the mom in a divorced family situation (with one step parent), I'm looking for ways to overcome the immediate "divorced family" brand that's imposed upon us all before we can even open our mouths. Guest Blogger Jenny: Puberty Already? How Mirman School Deals with the Hormones, the Moods, and Yes, the Smells. 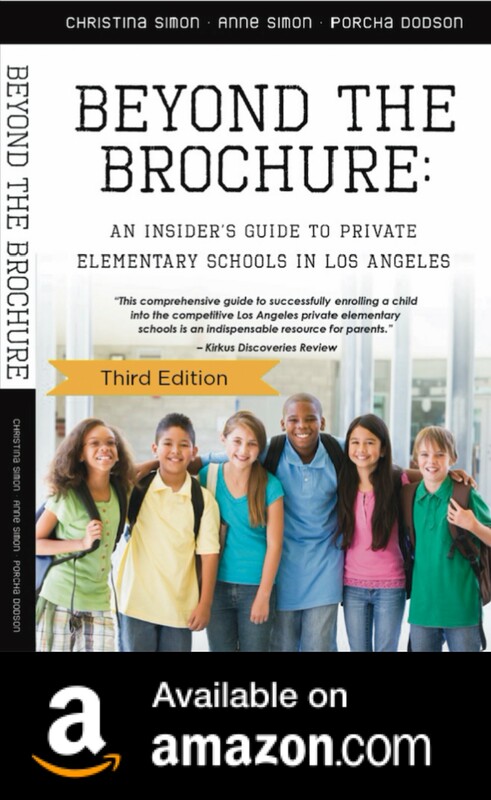 Guest Blogger Jenny: Is There A Mom "Uniform" At LA Private Elementary Schools?